The Middle East is an exceedingly promising marketplace for B2B businesses and all aspiring entrepreneurs. The diversity in raw materials and the increased awareness about online trading and wholesale marketplaces made all the difference in the future of this region.The following are prominent online B2B marketplaces that changed the way of B2B trade in the Middle East for the best:1. Gulf BusinessGulf Business is the type of B2B website that we can truly say is dedicated for the Middle East. Even though it is middle-east based, yet you can order from the products on the website to any part of the world. The detailed nature of this website is good if you are details-oriented and like considerable indexing of various products. In addition to that, there is regional browsing by countries in Middle East if you are interested in trading in one specific country over the other.2. The DesertIt is considered the very first online B2B marketplace in the Middle East. However, presently, it has its doors opened for trading in the rest of the world. As this website considered the oldest amongst its competitors, it has benefited along the way from gaining traders trust and credibility to increase the number of companies and products it has. That led to a diversity in the products and providers where all of that represented mutual win-win advantage for both the website and its users.3. 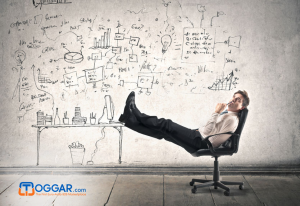 ToggarToggar.com has emerged to represent the bright future of online B2B marketplaces. It is considered the best B2B website to connect Europe and the Middle East. Even though its doors are opened to the entire world, the fact that it connects these two regions is massively important in shaping the progress of online trading in general. Traders gain both trading opportunities and increase their sales margins through the easy and simple communication free services the website provides.The importance of Middle East B2B websites can be seen on a larger scale in the fact that they help enrich the development of countries involved in online trading.Another benefit lies in that traders who strive to grow are now having the opportunities to do so with accessible ease thanks to these websites.In addition to that, the subscribed traders increase their trade opportunities that they strive for, alongside with increasing their sales and hence overall profit.What is even more important is that these websites help the transition for the future of trade to take place and assist in helping traders catch this promising future. Trading has become the solution for many people’s troubles all over the world. Many employees think about leaving their day jobs to start their own trading business, where others tend to keep their jobs while running a small online trading one.Regardless of your preferences, trading shall inevitably benefit you, especially if it’s an online trading.Online trading varies according to field, scoop, and personal preferences; from wholesale products to stocks and currencies, you’ll find what you desire.So what is the importance and benefits of online trading?First, it’s cheap. In the online world, there are relatively cheap fees that you need to pay, if any. 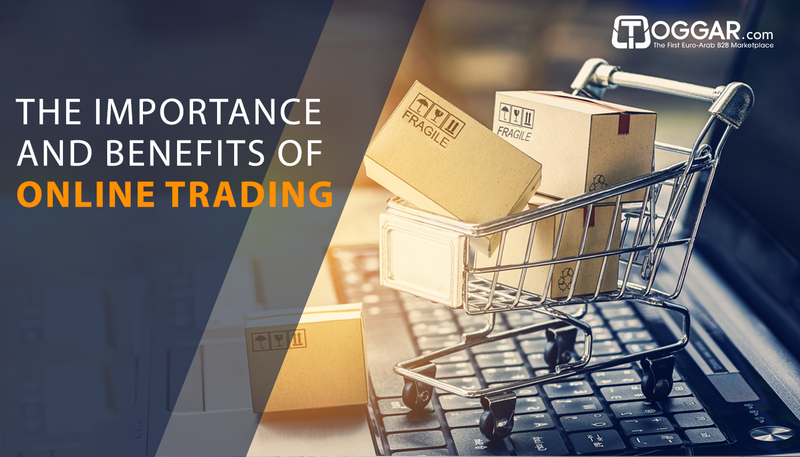 Trading/B2B websites take into consideration the fact that with millions of potential users around the globe, a considerate and encouraging fee/subscription will result in higher number of traders joining and hence even higher profit. In other words, win-win mutual benefit for everyone.Second, long-term saving margin. This is another very important benefit of low paid money. In tangible trading, there are big fees that need to be paid, yet this is easily evaded in online trade. Even though some differences in subscriptions may sound minimal, yet that can massively influence your overall profit in the long run. Even differences by cents need to be taken into consideration for their high impact, if you take your online trade seriously.Third, it gets rid of middlemen. It has been the norm for decades to have middlemen for desirable trade businesses; however, with the existence of online trade, this is needed no more. Now you can make your deals without the need for a middleman; however, this comes at a critical cost. The absence of brokers requires you to have great knowledge and understanding of the market while putting extra effort to analyze every input to make sound judgements and decisions.Fourth, it puts you as investor in remarkable control of your trade. When you harness the online power, you are capable of executing transactions whenever you want almost in a blink of an eye, where you don’t have to wait for your broker to place your order. In addition to that, you are capable of having full view of available options to review, which is better than solely depending on a broker to suggest relevant investments.Fifth, Investment monitoring in real time. The immense value of online trading shines regarding this particular point. When you trade and search online you get real time trade information, whether you utilize the best B2B websites as wholesale marketplaces and navigate competition, or trade in stocks and search for quotes. Some websites even offer streaming data and market news for your best interest.Online trading in general represents a bright horizon for the future of the trading business; and the smart trader will never miss the opportunity of joining such revolutionary advancement in the world of trade. So what are you waiting for? B2B business has been attractive for those who appreciate trading and want to make great profit.But what is really a B2B business and how can you start your own?B2B or Business-to-Business is where a business makes some sort of commercial transactions with another business. That can take different shapes such as when a business is producing the row material that another business needs, such as cotton for a clothing factory. Another type is when a business resells goods that are produced by another business, such as retailers who buy end products from manufacturers.To illustrate B2B more tangibly, it is often compared to B2C (or Business-to-Consumer), as B2C is about producing products or services from a business to the end customer/consumer. Another point is that B2B is often remarkably high in volume regarding transactions compared to B2C usual transactions.B2B Platforms Versus Your Own E-Commerce WebsiteThere is no contradiction here! 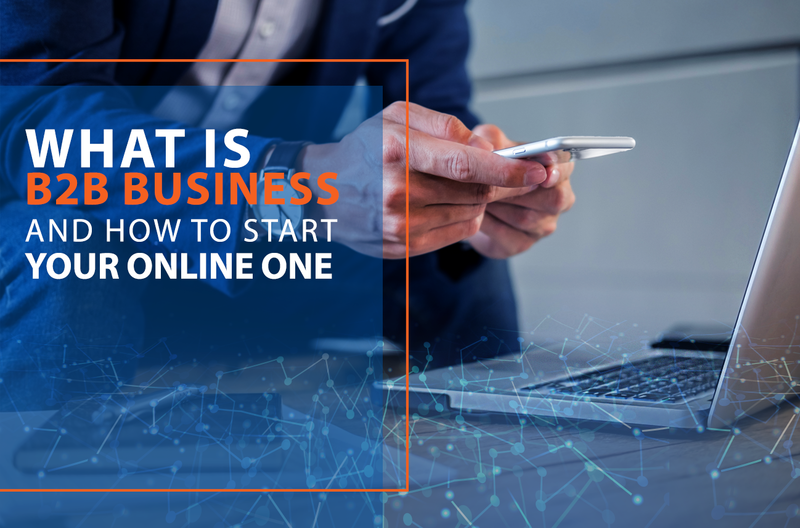 In the era of technology where businesses have turned to the cyber world for more profit, there are two options you can choose from, where both are viable and can even go hand in hand.Once you have established your real-life B2B business, it only makes sense to have it present online to make more trades and increase your sales.The first option is to have your products published on B2B platforms such as Alibaba.com, IndiaMart.com, and Toggar.com. These websites help you reach hundreds of thousands of interested buyers (or providers, in case you want to purchase in big quantities) with subscriptions vary from free to yearly payments.These websites provide huge privileges since they serve as a trading community that brings traders from all over the world in nearly all industries in one place, where they can buy and sell their products in big volumes and make and save money on day-to-day basis. In addition to that, most of these websites, and similar others, provide some sort of trade assurance where you can feel comfortable that your hard-earned money is in safe hands. Moreover, some of these websites provide you with statistics to better track and analyze your trade activities to make better future decisions.On the other hand, you can create your own B2B e-commerce website to have it as both a destination for your customers and a marketing tool for your business.The importance of having your own B2B website is incomparable. When you have your own website, your customers can always think of your products as unique and of considerable value. In addition, they’ll relate your domain name to your products and have it in mind whenever they want to make a related purchase.Are there any contradictions between having own website and using B2B platforms?On the contrary, it is highly preferable to have both a B2B website and publish your products on one or more B2B platforms. This is actually the best case scenario you want your business to be in. When you use an already established platform, you reach thousands of potential buyers, and a considerable percentage of those prospects can become loyal to your business and find it unique through your own website.The B2B world has grown to become a profitable portal for all those who dream of growing and love smart hard work. The entry is relatively easy and accessible, but the growth needs enough passion and dedication. Putting in the adequate time and effort needed shall insure you tremendous progress in your business path. Wholesale is a very attractive field to those who adore both trading and making big money. 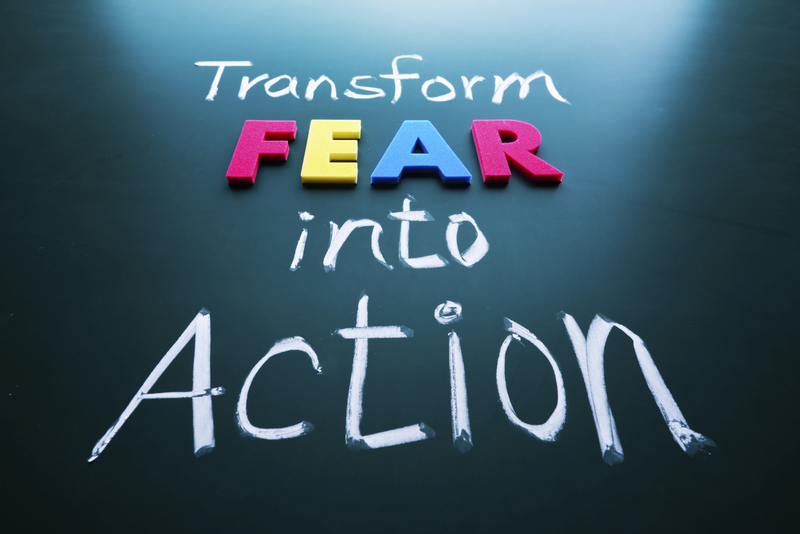 However, even though wholesale business seems very obvious in what it requires, many fall in dangerous pitfalls that annihilate their trade attempts and devastate their dreams.But fear not! Knowledge is power, and here we harness it. 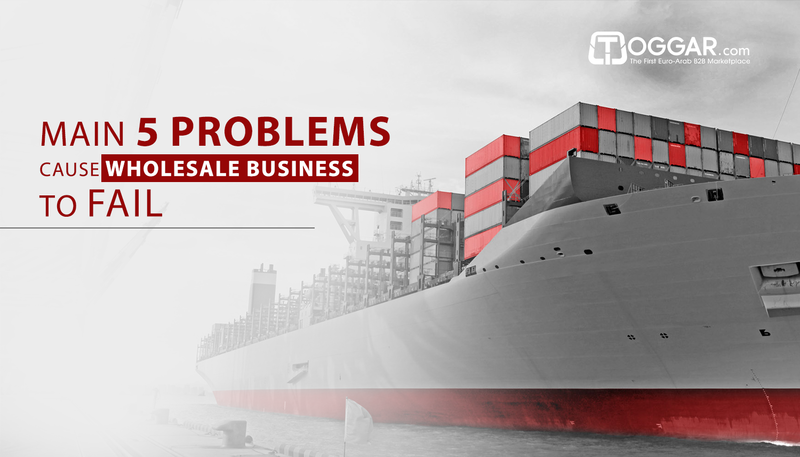 The following are common problems that cause wholesale businesses to fail and how to avoid them.1. Lack of CashMoney, money, money, it’s the down-to-earth mean of making dreams come true. Not much needs to be said. But when there isn’t enough of that resource, some spirits get broken. High hopes aren’t enough specially for wholesale entrepreneurs; there has to be a plan and budget for every big and small thought and action. In addition to that, securing cash flow even before the company needs it both makes you have peace of mind, secures harmful unexpected events, and safely positions you for thinking about creative things that matter.2. Inefficient SalesSales is inevitably the sword and shield of any business, especially wholesale. It only makes sense to have sales suffer and stutter every now and then, but it’s only okay when it’s out of your hands. However, it’s almost unforgivable if you make neglecting mistakes regarding sales, not to mention repeating these mistakes. Always pay close attention to relative changes in customer preferences and changes in the market itself in general. Being proactive regarding different sales trends is key for keeping your wholesale business at the forefront of competition.3. Crisis ManagementNo business avoids crises and disasters by 100% altogether. And that’s where wholesale business owners’ role arises. Crisis management is as important as the success of business itself. If a company is unable to address the potential future threats, its demise is absolute. There has to be adequate plans for emergency cases’ scenarios as such visionary strategizing is for those who want to rise above the ordinary.4. Customer IssuesWhen it comes to customers, the delicacy you apply in dealing with them alongside with considering their preferences come back to add to your progress. However, the sincerity in interacting with your customers has to take various ways in order to have a concrete effect. Regardless from which marketplace or community you choose as a supplier, and whether import and export are involved, you need to draw attention to customer reactions in order to spot their concerns and needs. In addition to that, establishing clear channels of communication with your customers is pivotal for the prosperity of any wholesale business.5. Economic DisastersEconomy is so much like the waves in a roaring sea. Sometimes those waves can take you to a safe harbor, and sometimes can completely wreck your business ship, if you’re not prepared. You should always be prepared for any kind of economic recession, be it expected or not. Always read the market and be in it as much as possible while having financial plans for the worst case scenarios, as wholesale businesses can’t afford losses that consume every resource and prevent the business from recovering.The business of wholesale is charming for those in love with it, yet as always passion is not enough. Mistakes are made, that’s only natural in the process of gaining experience. But the real cleverness lies within cutting down on the learning curve as much as possible and learn from others’ mistakes to avoid making them yourself. E-commerce is today’s trading business oxygen. The world has turned to e-commerce as being the future of commerce success. The presence of trading businesses online makes all the impact and difference in their future. 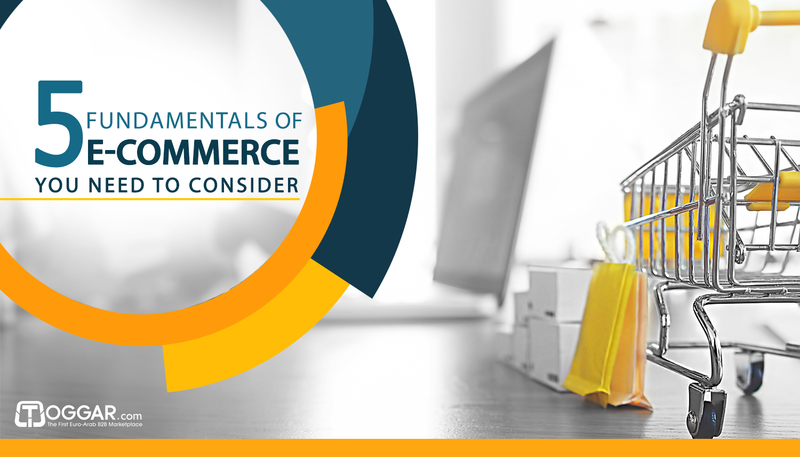 Sales and profit depend on the way each business owner looks at his/her business and wisely sees where the eyes are pointed at.The following are 5 fundamentals of e-commerce that every business owner needs to consider if they want to make tangible impact regarding the progress of their e-commerce business:1. Graphic DesignResearches show that web visitors attention span is about 3 seconds. Shocking but true. In addition to that, the human brain processes visual images way faster than written text. The art, order, and logic of your website’s designs say a lot about your business. That shall not only affect how your visitors and prospects perceive your e-commerce website, but will also inevitably affect both your income and overall success.2. Content MarketingContent marketing is what your business is; content marketing is what your success will be! Being considered almost the only marketing that is left, e-commerce businesses who pay enough attention to this very critical aspect are soaring with the eagles. A considerable percentage of the audience around the globe are fed up with outbound ordinary advertisement; they seek that inbound marketing that is rich in beneficial content to add value to them. And this is where content marketing is king.Never, under any circumstances, go cheap or soft on content for your e-commerce website; it’s like cutting oxygen from living beings. The marketing field is vicious and the completion is fierce, and almost only content marketing can be your lifebuoy.3. Website EfficiencyEven though other surrounding aspects such as design and content are as important as the business itself, yet, you cannot market something sloppy, or otherwise you would be marketing your sloppiness!Your e-commerce website should never have a complicated interface; that’s one of the main reasons that drive visitors away from your website, which is nightmarish. Moreover, your website should be optimally compatible with mobile devices as today’s users tend to be on their mobiles more than any other computer. In addition, your e-commerce website should be on constant development to avoid any slow loading, as such unpleasant user experience is one of the main reasons that drive prospects away from any website no matter how good it is.4. Trust & CredibilityAs simple as it gets, if your potential customers don’t trust you, they shall never buy from you. Trust is above all else. The delicacy of running an e-commerce business comes at cost; in the end, you need to make money through transactions, don’t you?! And to achieve that, trust must be a forefront priority.Trust comes from a myriad of ways that need to exist alongside each other such as testimonials, feedback, reviews, and contact details. However, above all of that there is one service adds immense trust that can take your business to a whole new level, which is trade assurance. Trade assurance service makes all the difference in the way customers look at and feel about your business. When customers feel that their hard earned money is in safe hands, they will buy fearlessly with a peace of mind that can triple your sales profit.5. Real-life interactionsEven though when we’re talking e-commerce we’re talking online presence and related marketplaces specially if import and export is involved, yet, without adequate real-life arrangements users are likely to stop dealing with you if the rest of the process is left to them and they find themselves left on their own.Many users on various websites face a complicated check-out process that can lead to extreme frustration, which is something you definitely need to avoid. Easy to follow check-out process can lead to a tremendously pleasant experience that increases customers’ loyalty and your sales margin along the way.In addition to that, some shipping solutions should be available. Even personal delivery by yourself is an option if your business is small and you can handle a manageable number of orders. When your customers feel comfortable about the delivery of their merchandise, they’re more likely to buy more and even do free marketing for you by telling their friends about their experience and your care.Sometimes all you need is to pay more attention to your customers, and sometimes you need to take good care of the details. What inevitably differentiates a successful e-commerce business from another is how much attention is given to all aspects no matter how small they may seem. Success awaits you only if you’re willing to put in the required effort. For entrepreneurs, business is as important as the air they breathe. But for many, losing that essential life resource can get quite familiar.Getting one’s business off the ground is merely the first step in a lifelong journey. Without adequate development of the business, failure is the absolute destination.The following are some ways that applying them can lead to a remarkable progress on every aspect for your small business:1. Take sales into considerationSmall businesses don’t have money, that’s a fact. The real question is what can they do to compensate that? The answer is sales.No matter what you do, you won’t be able to make leaps without sales, big and small. Sure thing marketing and PR are important, but without a strong and reliable sales team, the future of the business would be doomed.2. Help your customersIt’s only natural to focus on your business’ income, nothing seems wrong about that. However, the sole critical thing is focusing so much on the profit to the point of actually ignoring caring for your customers. Nothing can be more devastating to a business than that. On the other hand, when you draw attention to your customers, help them solve problems, and give them continuous added value, profit money will follow along. In other words, when you care, they care.3. Establish partnershipsWhen you start up your business, every resource feels small and limited except one, which is passion. However, more often than not, passion is not enough to keep the business running. That’s when it’s time to team up with experts and let the professionals handle what is not in your fields of expertise.Good business partnerships can be the need lifebuoy to save the day.4. 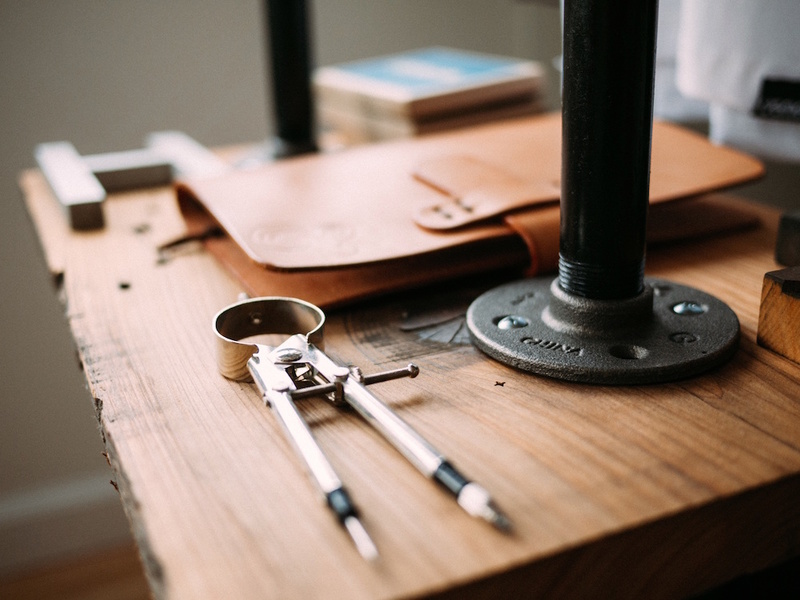 Implement task templates and automationSmall businesses don’t have the luxury of wasting time. Time equals money, especially when your business is small. Having an already set automated/templated process for repeatable tasks is a secret key for efficiency.5. Target other markets when possibleTargeting different markets opens the horizon for new streams of income. Properly studying other markets and figuring out key competition and market needs aspects can take your business to a whole new level. Just make sure to address all the risks and have adequate plans for them, because the possibility of high income comes with the dangers of high risk.6. Make use of early paymentsMany companies, big and small, open the door for discounts for customers who would pay for a product or service in advance. The huge benefit of this tactic is to have the company on constant development spree thanks to the flow of cash. When customers trust you and their loyalty increases, a considerable number of them shall inevitably make the move and provide you with early cash.7. Prioritize customer serviceIt’s unfortunate that many small businesses delay refining their customer service process until it’s too late. Customer service is as important as sales processes and closings. Your relationship with your customers should never be mere sale and close. Without proper strategies –that include customer care at the top– to maintain those hard gained customers, loss toll could become the only destination.8. Try to win a government contractSmall businesses struggle; that’s a fact. One way to make the leap you’ve been dreaming of is to have your government buy in. Winning a government contract will massively strengthen your client portfolio. That, in turn, shall ease every process and demand of volume services from parties such as insurance companies and law firms. In addition, securing a government contract helps you evade competition of external markets, and increase your company’s overall value whether for when you ask for a bank loan or when the time comes to sell your company.9. Aspire for mergers and acquisitionsThe astounding benefits of merging two companies is beyond description. Small businesses constantly strive to increase both their size and income, and one of the most efficient ways to do so is by merging with another company. Some of the benefits of doing so include increasing the power and market control of the new entity, reducing costs thanks to the emerging high production volume, and decreasing the financial risk while benefiting from tax advantage as a single entity.10. Harness the online powerEven though it has become obvious enough to talk about it, it’s never enough to mention the benefits of having an online presence for your business. Whether you trade in import and export goods or only provide services, having your business exist on the internet can build future upon future for your aspired success. Make good use of SEO, as according to statistics, more than 80% of traffic comes from search engines. Alongside with that, you need to harness the power of content. Content marketing is almost the only marketing mean that is left, and securing that shall give you the miraculous competitive advantage your business been striving for.Developing one’s own business is a lifelong continuous process that never ends with methods or tips. Every day, every night, you need to research and think of the most efficient and industry-related ways to develop your business. When there, you would acquire the needed mindset to not only succeed but also to ferociously lead. Congratulations! So you got your e-commerce business launched, maybe you invited staff, family members, or even some customers over to celebrate the bright day.. But it’s not long enough until you realize that sales are going way less than expected, and your brain fries over what on earth the reason behind that can be. 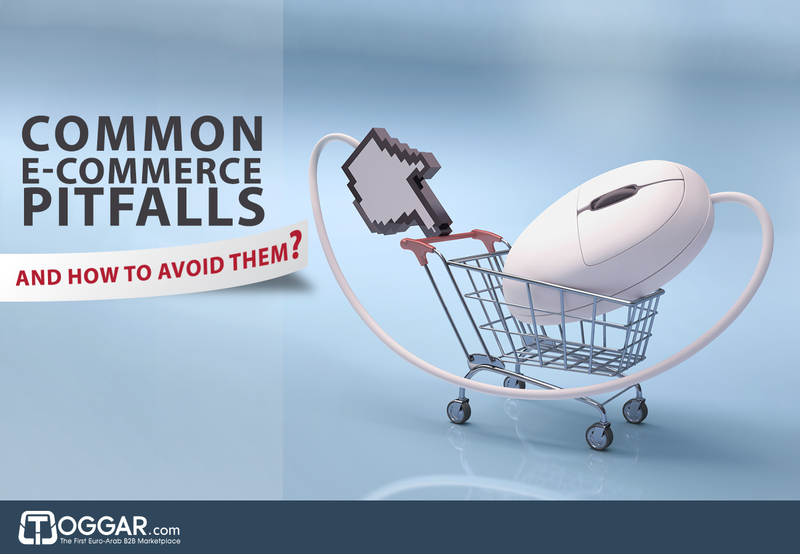 Actually it can be MANY reasons that cause all the efforts and researches go in vain.The following are common e-commerce pitfalls that are crucial to know in order to avoid:1. Unsightly page design:“Beauty is in the eye of the beholder,” right?! Not necessarily! Sometimes that is considered as an excuse for laziness as if there’s nothing can be done. You may have the best product quality for the best price a customer can dream of, but without a glamorously simple and attractive design to keep the customer browsing, not to mention thinking of revisiting, your e-commerce business is hitting a dead end.2. Absence of mobile compatibility:Even though this doesn’t need any pointing out, unfortunately many businesses realize it way too late. People walk with their mobile devices and tablets more than they ever do with their laptops; they even do so while at home. If your website isn’t compatible and easy to navigate on those handy devices, your customers will think twice before accessing it, that if they remember to do so in the first place.3. Slow loading:Putting aside internet speed factor, studies show that every extra second your website takes to load leads to at least 10 customers loss. This seemingly trivia point is not to be taken lightly. Ask the experts if your website’s loading time is competitive or not.4. Complicated interface:Simple makes perfect! Anyone can make anything look complicated, but it takes huge effort and a true genius to make the complicated become simple. A complicated website does not by any means make your business look sophisticated or cutting-edge; on the contrary, it only makes you seem not knowing what you’re doing; and if that becomes the case, the only simple thing remaining when there would be to kiss your customers’ relationship bye-bye.5. Lack of personalization:In real life, customers can touch, feel, and try different colors, designs, and sizes, but of course that is not the case when shopping online. 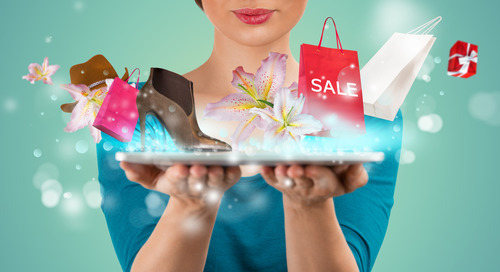 Your e-commerce website should offer customers the ability to virtually customize and personalize products. If that isn’t available, the customer would feel unappreciated or would simply consider visiting websites that offer what you don’t.6. Not enough product info:Again and again, presuming that some of your products’ info, details, or features are well-known or famous enough to be mentioned is one the most critical mistakes any business can make. Always assume that every new customer is completely new to your industry or field. Give them complete yet concise grasp of what these products have or do and you would be on the safe side.7. No endorsements or reviews option:How many times have you read a product’s customer review before buying it? ALWAYS! Or so I hope. Almost everyone is kind of anxious when buying a product online; and even if the website is most secured and trustworthy, it’s the slight skepticism concerning the product itself. Having an option to allow customers comment and provide opinions and reviews is vital for any successful e-commerce business.8. Ignoring OR spamming email marketing:Each of the two ends is extremely harmful. Email marketing is one of the most efficient ways to market your e-commerce business, and ignoring it can cause you to miss on great opportunities to grow. On the other hand, it is as harmful to overdue or spam your customers inbox on daily basis, thinking that since you’re sending to millions then millions will come along! If marketing emails are not limited to once a week for example, customers can get really annoyed and decide to unsubscribe from your emails and maybe quitting interacting with your business as a whole to have some peace of mind.9. Sloppy marketing strategies:Having a business on the web doesn’t mean that it markets itself there! It’s unfortunate how many e-commerce businesses’ marketing strategies and campaigns are just plain flat and minimal to the point of almost not existing. Having strong, real strong, marketing strategies is a magical key to standing out in the fierce competition.10. Unattractive margins:You are selling online for a reason, aren’t you?! So are the ones buying online! If your prices are the same as in real-life shops, then why would anyone prefer you over them?! People buy online to buy from competitive prices providers, and if that is not the case in your website right now, then you should call for an emergency fix right away!11. Complicated check-out process:So the kind customer finished their browsing process and finally made a buying decision; but out of the blue find themselves in one of those Doctor Strange’s time loops where they cannot complete the purchase process and keep running in circles! Not only does that cause your customers to have unmatched frustration and bad experience, but also may make that purchase their first and last.Simple and easy to follow check-out process can build customer loyalty and increase the word of mouth for even more customers to come.12. Lack of shipping solutions:When customers complete the transactions, they want to feel comfortable about the delivery of their products. Approving the purchase is only half the way there; this isn’t an online game, you know. If you’re unable to provide efficient shipping solutions, then contracting with vendors who can do so is the way to go.What is more important than launching your e-commerce business is maintaining it. The competition is merciless out there, and only those who develop become winners. 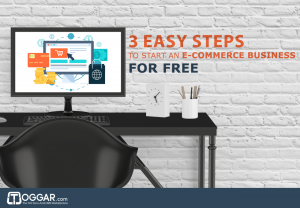 Amazon, eBay, Walmart, recently Hyundai, and many other businesses and startups, big and small, in all sizes and industries are turning to e-commerce as one of the most reliable ways to make big money.However, you don’t need to be an economic giant to start an e-commerce business. Actually, you may not even need money at all to concretely have land legs in this wonderland.The following are 3 easy steps to join online traders, whether national or international, without paying a single dime:Step one: Define your business:You always got to ask yourself: what can I have that others don’t? Or what differentiates my product from other products? Even though e-commerce allows you to reach thousands (and even millions) of potential customers, the competition is fierce out there; originality and creativity are keys to landing success from inception.To help do that, you need to research competitors and make comparisons to find out what hasn’t already been made by them, alongside with choosing a unique and easy-to-remember name that both relates to your industry and your distinguishing factor.Step two: Do the paperwork:Yes, it can be daunting, but just like vaccination, sometimes you need to bear the temporary prickle of a needle in order to avoid the permanent pain of illness. Registering your business is no difference. Taxes can come to bite you if your business grows while you neglect or forget to comply with your local laws. If your business is currently small and you’re sure it’s untaxable, then that’s great, carry on; but once you realize that you’re growing proportionally, then official papers should definitely be filled.Once you have that secured, it comes the part of writing your business’ online content. After getting a web hosting service, where many free ones can be found, it comes the time to fill in the spaces to describe your products and illustrate their advantages in relatively short and appealing manners. You may know your products inside out and think that many features are more than obvious to describe, but the fact is, what you see isn’t necessarily what others conceive.You may also need to create an online portfolio, whether on the web hosting service you use, a blog, or a social media page to attract potential clients. In addition, it would help too have a design or background that matches your business, with clear simple and easy steps to click the buttons and make the purchases.In addition to the aforementioned, you need a very simple business plan to work as a road map for you to know where you’re going regarding pricing, production and shipping costs, and other expenses. And who knows, you might find interested investors who want to sponsor your business or even become partners, and business plan is how you’re going to describe what you run, especially that it would cost you nothing since multiple guides and templates are available online for free.Step three: Market your business:Marketing is your master key to communicate and connect your products to every potential customer on the cyber world. And since there are many of them with a huge impact, social media are the way to go for an efficient, solid, and practical way to do the marketing required without having to afford any financial expenses. Facebook, LinkedIn, Twitter, Instagram, and many other platforms can absolutely change the way your business operates for all the best beyond imagination.There you have it; now, what kind of business is looming in your mind?! How to Have Trading Patience and Competitive Advantage? It only makes sense to want to make profit as soon as possible, but, as life teaches us, improving the present is the core of improving the future.Believe it or not, companies like amazon.com spent nearly 20 years without making profit! Sounds mind blowing, but is actually true.You don’t necessarily have to wait that long; furthermore, you don’t want to experience the wrong type of waiting, which turns to be a true waste of time.The following tips from Irene Gillespie and Adam H Grimes will help you practice patience while making the most of every single moment you have:Patience when buying:Yes! It is appealing to make an executive buying decision once the price seems to be just right. But come on! You are better than that! With mild experience in trading, price is surely not everything. It is true that every now and then you find that angelic buying deal in the first search attempt, but that is not always the case. And no, quality is not what I’m talking about either. Actually the component that might be overlooked by new businesses is the actual need to make a buying decision for the time being or not. You do not need att all, not a single bit, to buy merchandises or materials you cannot get out of your inventory, even if both price and quality are astounding.Patience to make sure you have an edge (competitive advantage):In short, you don’t stand a chance if you don’t have an edge. Even though it only makes sense for a trader to carefully do the necessary work and research to have a solid justifiable reason to risk their money in the market, unfortunately that doesn’t always happen. You don’t have any reason whatsoever to risk money or time until you’re sure you have a concrete edge. An edge isn’t simply a seemingly cool idea from a chat or an ability to sort out good products. You need to have good data tested over a period of time to make sure you have tangible competitive advantage(s).Patience in trading itself:Only those who do the trades feel how psychologically stressful it can be. You may have a plan, know what to do with it, and in which market it is going to be executed. You may even write it down and review it over and over again with adequate resolve to precisely follow it. However, when the opportunity to make an entry doesn’t come in time, you may find yourself out of the blue involved in another trade in an unrelated market.The simple patience to wait for the right entry to develop is truly an essential skill in trading. It takes discipline, time, and effort to grow the necessary skill and experience to waitt with sagacity; however, having this concept in mind shall shorten the path to the right extent. Admit it! The dilemma seems to never end. You either hate your job, not fully satisfied with it, or want to step up your life standards. 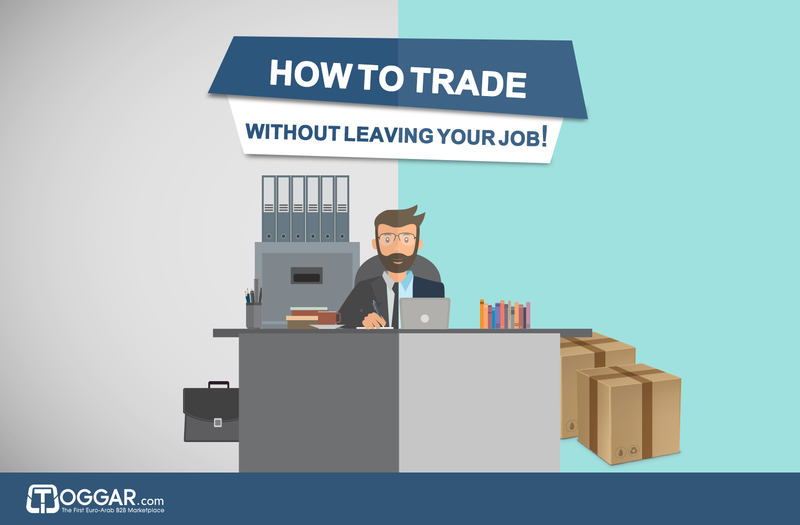 But at the same time, you don’t want to sacrifice the security of your daily life job for a trade whiff of freedom that may end up in less than desirable results.First, let’s state the reasons why it’s considerable not to leave your job to fully day trade:1. Family. If you have wife and children you need to support, you can’t just risk it all for a deep water horizon.2. For the first months, trading is not going to be rewarding. The learning curve is high and requires patience, as many months may pass without making a single dime profit.3. There is a considerable chance to lose capital money if you’re going to be fully committed and try to push your trade passion further.So how is it possible to start a trade business while keeping your day job at the same time?There are different ways you can consider to hit two birds with one stone, as follows:• Start small:When you start a new small business (accessories crafting for example) it doesn’t require a lot of time and attention other than some initial easy steps that can be smoothly followed.Starting small without throwing much money is an important factor to gradually grow while not being threatened by major losses or extreme divided attention.• Stock trade:It’s everywhere! New markets open in many countries and continents where you can buy and sell at the comfort of your home chair. But don’t be fooled either ways! It’s never easy to gain experience in that field and sometimes you may find yourself paying from your own pocket to compensate learning mistakes’ losses. On the other hand, once you become well-versed in the ways of this business, you may not need more than 3 to 4 hours a day to efficiently do and monitor it. For real!• Hire administrator:If you are more interested in tangible day-to-day or wholesale trade (such as commercial poultry farming for example) it can be very rewarding to hire an administrator to run the business during the process. In our example, poultry business doesn’t require huge capital or huge space, has high ROI, and represents a continuous source of income. Having someone to take care of the broilers’ health during the production process wouldn’t be costly and you will be able to pay more attention to your day job.• Partner with a friend:If you’re continuously thinking about starting a trade business then there’s no doubt you’re passionate about it. However, it’s possible to have a trustworthy friend who is more passionate about start-up businesses and would even take bold steps to make the dream come true. You can contribute to such business with money while overseeing it when you have time while having your partner manage it and of course receive extra payment for his/her effort.There are many ways where you can both hit the business trail and feel the promotion sun at the same time. All you need to do, with having enough resolve, is to find the way that suits you the best.